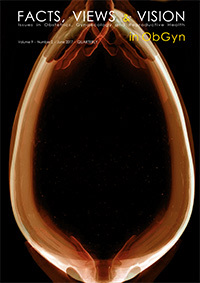 Facts, Views and Vision in Obstetrics and Gynaecology was first published in June 2009. Since the 1st of July 2013 it is the Official Journal of the Walking Egg, non-profit organization, the International Journal of the Flemish Society of Obstetrics & Gynaecology and the Official Journal of the International Society for Mild Approaches in Assisted Reproduction (ISMAAR). 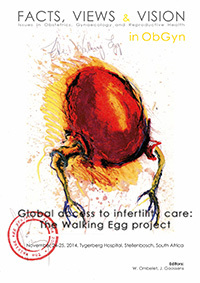 "The Walking Egg Project: Universal access to infertility care - from dream to reality"
Global reproductive health – Why do we persist in neglecting the undeniable problem of childlessness in resource-poor countries? Accessible and affordable IVF: is Bob Edwards’ dream about to become reality?